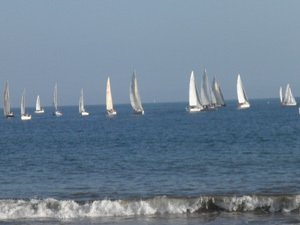 A perfect way to experience the Santa Barbara harbor is sitting on the patio of Endless Summer sipping a signature Mai Tai and watching the Yacht Club races on Wednesday. 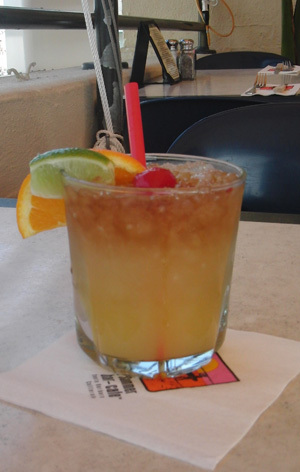 For your summer enjoyment please find below the recipe for this California cooler. Paso Wine Man returns to kick-off the 29th Annual Wine Festival, May 20 � 22, 2011. A Toast to Paso is the second in the 2011 video series following, Zinfandel � Paso�s Wine, which received more than 75,000 YouTube views since February. In this new video, Paso Wine Man leads the community from the vineyard to the winery and tasting room to the Downtown City Park for a toast to the future and to the 29th Annual Wine Festival. The Park is an iconic location for Wine Festival, as marquee events take place there throughout the weekend. All ticket levels are currently on sale at www.pasowine.com including the Saturday Grand Tasting (2 � 6 p.m.), Saturday Wine Country Auction & Dinner (6 � 10:30 p.m.) and the kick-off to the entire weekend, Friday RESERVE event (3:30 � 6 p.m.). RESERVE features some of Paso�s most celebrated wines complemented by wine country cuisine from local and regional culinary masters. One of the most exciting elements to RESERVE in 2011 is the addition of the new Futures Auction. Attendees are invited to not only toast, but taste the future, now during RESERVE. More than 50 wineries feature wines in four distinct categories including library, reserve, futures and refreshing power white/Ros� samples. Each of the seven wineries featuring futures (Anglim Winery, Caliza Winery, Clavo Cellars, Cypher Winery, Four Vines Winery, Silver Horse Winery and Villicana Winery) will have five cases of wine available on the auction block. The top five bidders of each futures wine will secure a case to take home once it has matured through the winemaking process and is ready for release. The top bidder of each wine will take home a commemorative barrel head branded with the winery�s logo. Beyond RESERVE, wine enthusiasts are invited to experience the future through Paso Robles Wine Country�s newest video, A Toast to Paso (www.youtube.com) where the Downtown City Park serves as a Paso Wine Man�s co-star! The entire town including winemakers, growers, proprietors, tasting room attendants and the local community come together to toast in the Downtown Park which is symbolic of the Paso Robles Wine Festival. The Park serves as the corridor for all Wine Festival activities including the �marquee, of the marquee,� the Saturday Grand Tasting, starring more than 80 Paso Robles wineries. Additional Grand Tasting features include the Demonstration Kitchen, courtesy of Idler�s Appliances, Artisan Alley featuring local epicurean delights, live music by the Guy Budd Band and the Cheese, Bread & Water Stations, featuring FIJI Water. The Wine Country Auction & Dinner follows the Saturday Grand Tasting, from 6 � 10:30 p.m. Guests will sit with their favorite winemakers and proprietors in an intimate setting, taste personally selected wines and delicious wine country cuisine. The evening�s highlight will be the live auction, giving guests the opportunity to take home rare lifestyle packages exclusive to Paso Robles Wine Country. Funds raised through this auction, including the new Futures Auction, benefit San Luis Obispo County charities providing services in healthcare, education and greater community services. More information and tickets to RESERVE, the Grand Tasting or the Wine Country Auction & Dinner, are available on www.pasowine.com. In addition to these events, more than 140 area wineries host special activities throughout the weekend including winemaker dinners, winery and vineyard tours, food pairings and cooking classes to complete your Paso Robles Wine Festival Weekend. Critically acclaimed winery Bodega Numanthia, the emerging leader of Spanish iconic wines, is proud to announce that influential Spanish wine magazine Sobremesa named Bodega Numanthia's 2008 Termanthia Tinta de Toro as top wine in their special anniversary edition celebrating the magazine's 300th issue. Established in 1984 by Spain's most prestigious wine journalists, sommeliers and oenologists, Sobremesa which means 'dessert' in Spanish is one of Spain's most important wine and gastronomy publications alongside Gu�a Pe�in. For the special 300th edition, the editors of Sobremesa organized a blind tasting of Spain's top wines, sherries and cavas for a panel of thirty-five judges -- the majority being winemakers, to evaluate their wines against each other. Wines in the tasting represented the most renowned wines of Spain such as Aro, Aurus, Cirsion, Clos Mogador, Dalmau, Pesquera Janus, Pesus, Pingus, Unico Vega Sicilia and Valduero. Once the scores were tabulated, Bodega Numanthia 2008 Termanthia was unanimously recognized as the top red wine of the tasting, surpassing Unico Vega Sicilia and Pingus. "A red wine which belongs with the best. It encapsulates great structure with an elegant complexity. The combination of fruit aromas (black fruits & ripe red fruits), menthol scents and a delicate hint of wood delivers a very seductive wine. In the mouth, it is intense with firm & silky tannins. It achieves the perfect balance, revealing final notes of balsamic & toasty aromas." The Numanthia estate lies near the small village of Valdefinjas, in the province of Zamora. The estate was founded in 1998 by the Eguren family, from the Rioja region. The name 'Numanthia' associates the towns of Numancia and Tiermes, known in ancient times for their resistance to Roman invaders. When attacked by the legions of Scipio in 134 BC, their inhabitants resisted heroically, preferring death to surrender. Numancia thus came to symbolize tenacity and resistance, which is also a feature of the Toro vineyards that survive the extreme local climatic conditions, not to mention Phylloxera attacks. 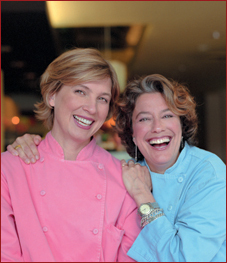 Don't miss Vegas Uncork'd, the most anticipated foodie event of the year, with an unparalleled collection of celebrity chefs, including Mary Sue and Susan, as well as master sommeliers and the most cutting-edge mixologists in the nation. It's an exclusive opportunity to rub elbows and taste food and drink throughout four days of unique events, including a Grand Tasting on Friday, May 6, 2011 and a special Mother's Day Brunch with Mary Sue on Sunday, May 8, 2011. Historic Russian Tea hits the celebrity scene with debut in the Grove at Farmers Market in Los Angeles. The brand known for traditional Russian-style tastes for the last 140 years made its debut recently at Monsieur Marcel's Gourmet Market in the West 3rd Street Farmers Market. Celebrities sipping these great teas include Dennis Quaid, Eric Roberts, Giles Marini, Angela Bassett, Neil Patrick Harris, Chris Harrison, Archie Parjabi, Peter Facinelli and Rami Malek. 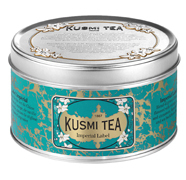 "We are thrilled to be expanding in the Los Angeles/Hollywood market," said Sylvain Orebi, President of Kusmi Tea of Paris. " For additional information visit: www.us.kusmitea.com. It's naturally sweetened, delicious and refreshing and comes in a vareity of great flavors; I prefer the orange. This is a zero calorie no sugar (sweetened naturally with zevia) sure thing for summer refreshment. 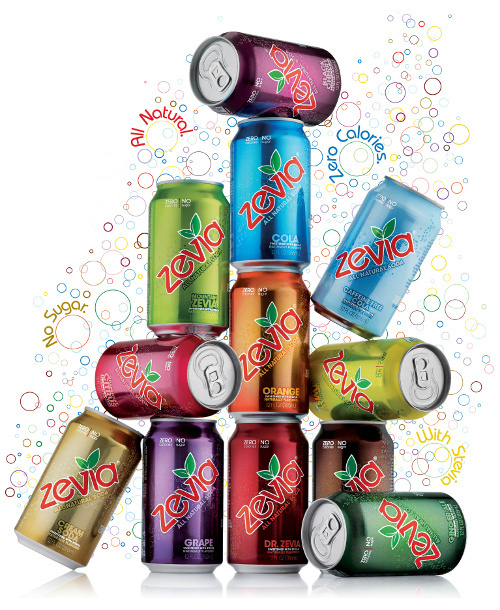 For additional information visit: www.zevia.com. Ristorante Rubino, Acquarossa - Ristorante Val Sole, Acquarossa - Albergo Forni, Airolo - Ristorante All'Acqua, All'Acqua - Osteria Altanca, Altanca - Osteria Anzonico, Anzonico - Ristorante Bellavista, Anzonico - Ristorante Corona, Bellinzona - Ristorante Prisma, Bellinzona - Albergo al Giardinetto, Biasca - Albergo Nazionale, Biasca - Osteria Castello, Biasca - Albergo Stazione, Bodio - Grotto Pro Bell, Calonico - Grotto Milesi, Cama - Ristorante Car�, Car� - Ristorante Tenza, Castione - Ristorante Pizzo Forno, Chironico - Ristorante La Campagnola, Deggio - Osteria La Baita, Dongio - Albergo Faido, Faido - Grotto Due Ponti, Giornico - Grotto Pergola, Giornico - Albergo Defanti, Lavorgo - Ristorante Gianora, Leontica - Ristorante Olimpia, Lugano - Atenaeo del Vino, Mendrisio - Ostello Curzutt, Monte Carasso - Trattoria Er Pipa, Monte Carasso - Albergo Arcobaleno, Olivone - Albergo Olivone e Posta, Olivone - Ristorante del Ponte, Ponte Valentino - Locanda Dazio Grande, Rodi-Fiesso - Ristorante Ch�let Stella Alpina, Ronco Bedretto - Ristorante La Perla, Sant'Antonino - Ristorante La Brasera, San Vittore - Grotto Canvett, Semione - Ristorante Lago Maggiore, Tenero. In May the northern part of the Canton offers a variety of culinary highlights. During the gastronomic festival �Maggio Gastronomico� the restaurants of the Leventina valley, the Blenio valley and the Riviera primarily serve typical regional dishes. Among them there are such delicacies as cornmeal, gnocchi, pot roast and alp cheese. A special attention is also dedicated to asparagus, which is prepared in many different ways. Also meat, game and fish can be found on the menu. Celebrating a quarter of a century in age, the �Maggio Gastronomico� is young in spirit, growing and full of novelties. At the 25th edition, indeed, there are 32 participating restaurants, ten more than last year and among them three hosts from other parts of the Canton. This year, thanks to the cooperation with �Sapori del Ticino in tavola� (�Ticino�s flavours on the table�) there will be traditional dishes and specialities with a strong tie to typical products of the region. Indeed, many chefs apply the zero-kilometre-principle: they use products of the regional producers for their dishes. Others surprise customers with their creativity. May�s cuisine only waits to be discovered!